post-title Read along pub crawl: Joyce’s ‘Counterparts’. Home / 2017 / Read along pub crawl: Joyce’s ‘Counterparts’. A few months ago we were on a pub walking tour with Kevin Martin, the author of ‘Have ye no homes to go to? 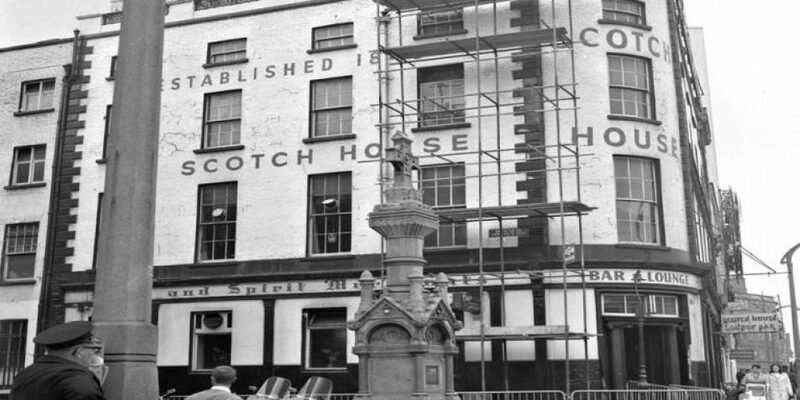 A history of the Irish pub‘. 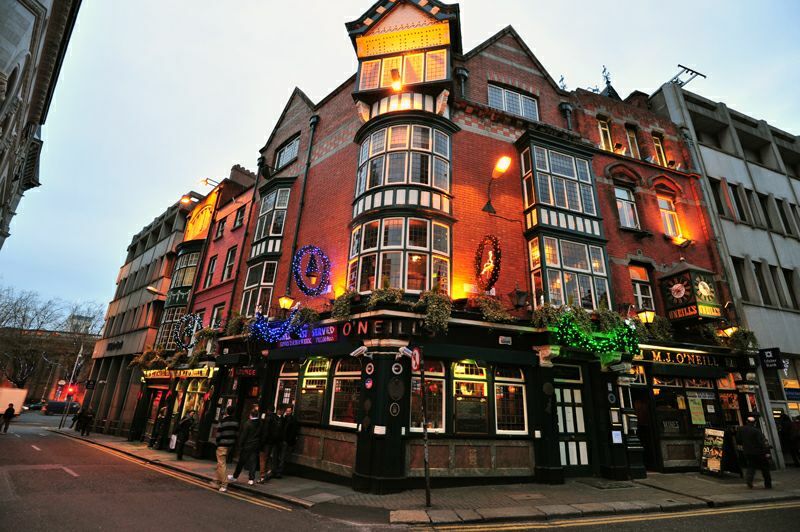 During the tour, in a section about literary connections to Dublin pubs, Kevin mentioned the James Joyce short story, ‘Counterparts’. Kevin mentioned it as we stood outside O’Neill’s pub on Suffolk Street. Part of the short story occurs inside the snug of O’Neill’s. Inspired by the brush with fiction, I read the story when I went home. It seemed to be me to be a good theme for a pub crawl. 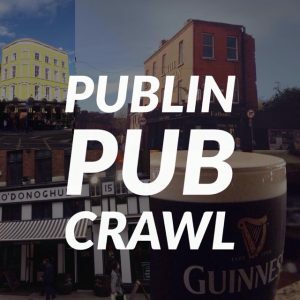 We suggest that participants in the crawl could go from pub to pub, and read aloud the relevant parts of the story in the very pubs that they are set. Any there’s a few pubs mentioned for such a short story. It would also serve as an introduction to Joyce for those interested in his work, but a little bit intimidated by Ulysses. The protagonist of the short story is a man named Mr. Farrington, a clerk in a clerical job. After being admonished by his boss for failing to complete his work, Farington leaves the office and goes to a series of pubs. Participants can read along with the story through this link. It’s not all that long, but it might become harder to read as you go on. O’Neill’s is the first pub mentioned. 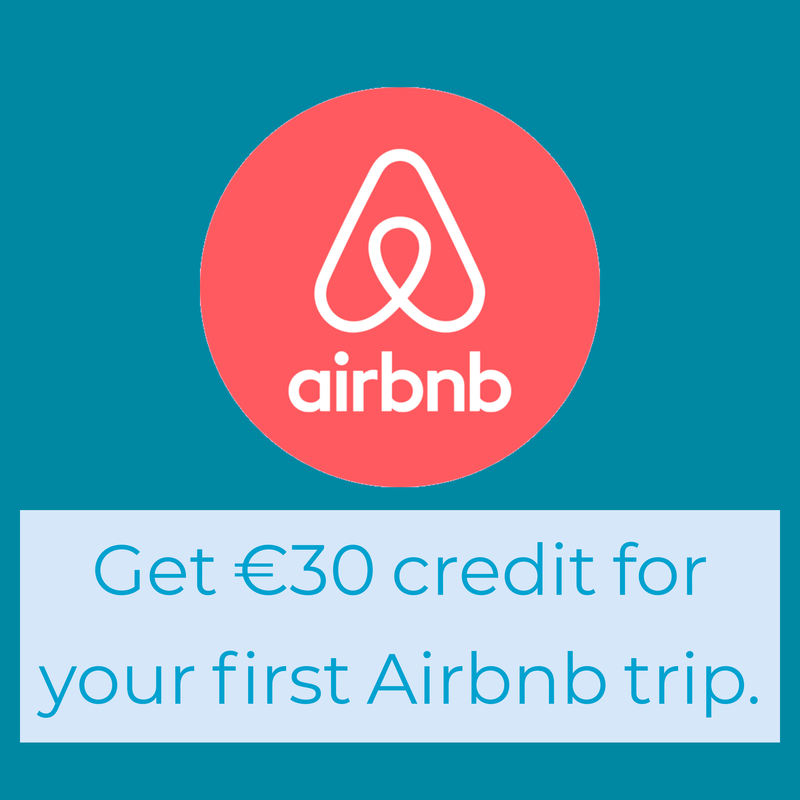 Mr. Farrington’s office is on Eustace Street, just across Dame Street in Temple Bar. Here he had a glass of plain porter. Participants in the crawl can decide for themselves if they wish to drink as Mr. Farrington did, or opt for a more modern brew. We warn you, he hits the hard stuff pretty quickly. After a trip to Terry Kelly’s pawn shop on Fleet Street to get some drinking money, he then made his way to Davy Byrnes. Here is where the participants should deviate from the rate of imbibing undertaken by Mr. Farrington, as his thirst for libations isn’t a healthy thing to match. In Davy Byrne’s he had a half one and 2 whiskeys. 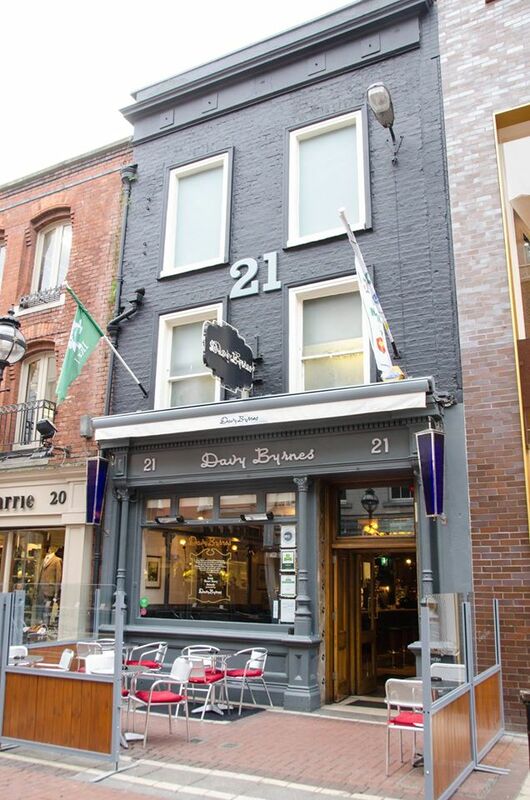 Davy Byrne’s was, of course, also famously mentioned in Joyce’s Ulysses where Leopold Bloom had a gorgonzola sandwich. On Farrington then went to The Scotch House. Rain was drizzling down on the cold streets and, when they reached the Ballast Office, Farrington suggested the Scotch House. The bar was full of men and loud with the noise of tongues and glasses. The three men pushed past the whining matchsellers at the door and formed a little party at the corner of the counter. 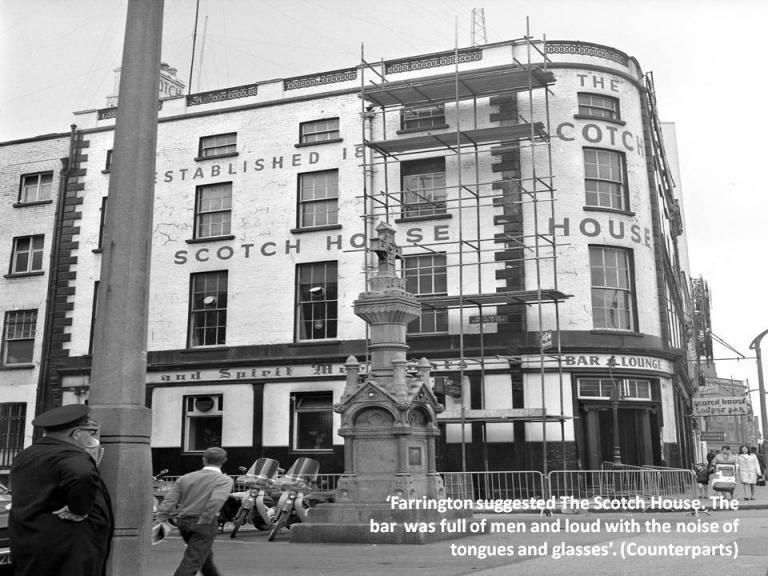 Unfortunately, The Scotch House no longer exists. It once stood on the corner of Burgh Quay and Hawkin’s Street. In place of the Scotch House, participants could visit Chaplin’s bar on Hawkin’s Street, as it’s the closest pub to the site. Here they met a man named Weathers, who was performing in The Tivoli as an acrobat. The 3 had 3 Irish whiskeys and appolinaris. Appolinaris was a sparkling water from Germany. See a company reenact the scene in the room itself. 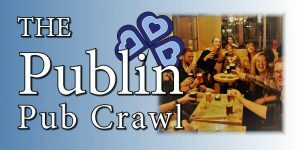 The final part of their crawl was to be Mulligan’s on Poolbeg Street. When the Scotch House closed they went round to Mulligan’s. They went into the parlour at the back and O’Halloran ordered small hot specials all round. They were all beginning to feel mellow. The parlour room at the back in now called ‘The Joyce room’. Here they had at least 2 more hot specials. I should repeat that it is not advisable to match the drinks had by the characters in the story. And finally, he leaves the pub. Before anyone thinks this is a curious story of a man who goes on an adventure and has a grand old time, read on to the end. It’s not quite as whimsical a journey as Ulysses. So, for your next night out or Sunday drinking jaunt, perhaps consider giving a bit of structure to your day through a Dublin literary classic such as this. We will, if we can, follow up with more suggested pub crawl read alongs.